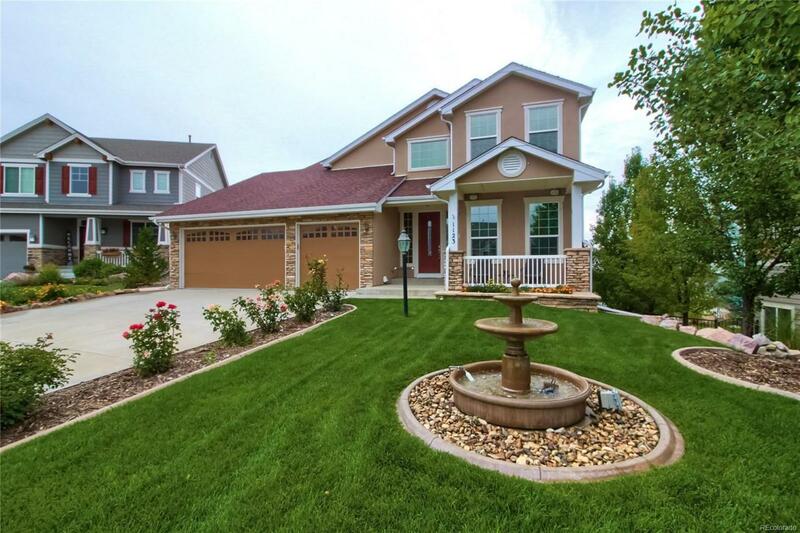 5 CAR GARAGE surrounded by manicured landscaping and a quiet cul-de-sac! Main floor living includes a 2-story foyer w/circular staircase,sitting room that could be a study, a spacious dining room, an open gourmet kitchen, breakfast nook and family room. Room amenitiesinclude: raised ceilings w/custom lighting, picture windows throughout, beautiful maple cabinetry w/ upgraded glass doors, Viking 6-burnergas cook top, double self-cleaning ovens, Kenmore Elite refrigerators and more! 2nd story includes spacious master suite, an incredible ensuite & huge walk-in closet, two lovely bedrooms, another full bath & a private guest suite. The finished walk-out basement features a guestbedroom or an amazing quilting/hobby room, a large recreation room with 3/4 bath. If you enjoy the outdoors you'll love the front porch,lovely patio and spacious fenced back yard! Property taxes lower in this neighborhood which is why HOA dues are exponentially lower than surrounding areas. Association Name Primary Plum Creek North Master Homeowners Assoc. Inc.